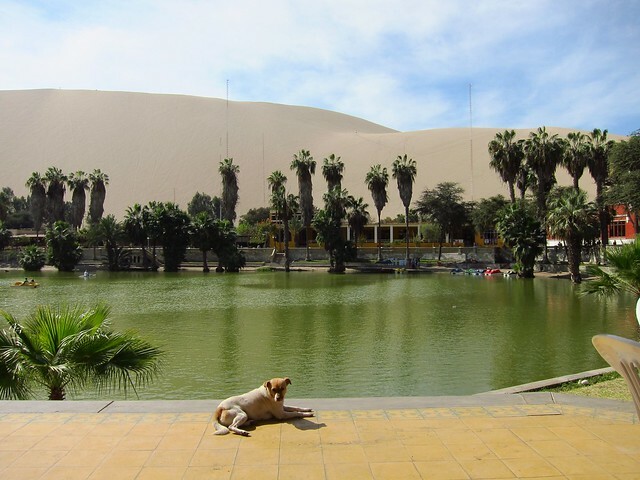 You're viewing a category page for Peru. 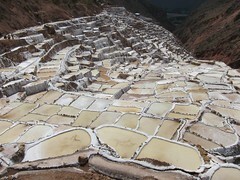 Maybe you'd also be interested in our pictures from Peru, or our experiences with money or visas in Peru? Cusco, our last stop in Peru, sometimes gets pigeonholed as merely the gateway to Machu Picchu and the Incas' Sacred Valley, but it's also a vibrant and enchanting city in its own right. We had some great food, and enjoyed exploring the city's narrow, cobblestonedstreets. 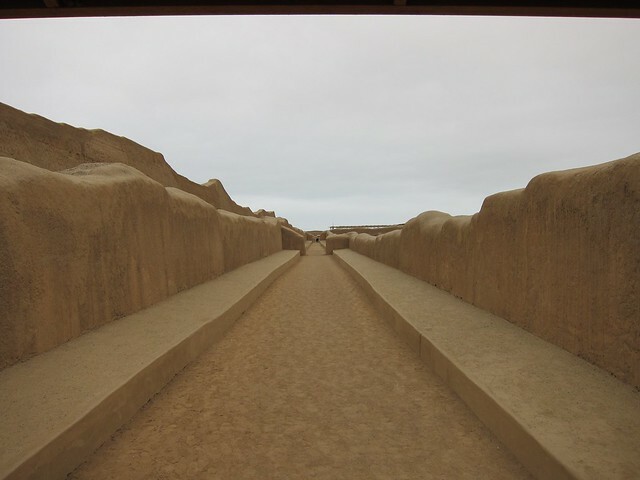 The city was the Incas' historical capital and there are many reminders of their architectural mastery to be seen. 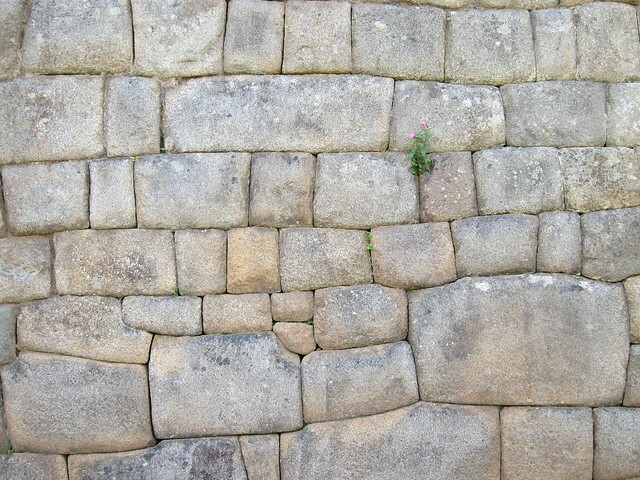 The late style of architecture, known as the Imperial Inca style and used mostly for religious and regal buildings features a technique consisting of stones cut in irregular shapes to microscopically-precise specifications and assembled into a distinctive jigsaw pattern. 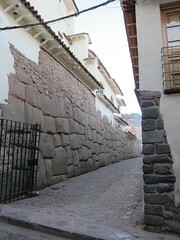 Owing to the precise engineering and solid materials, many striking examples of this style are still observable in Cusco and throughout the valley, and being as Cusco is still a living city, the Inca relics have been incorporated into more modern construction, with more modern (and generally less interesting) stonework, or adobe additions above the ancient foundations. Our first two days in Cusco were spent running the typical errands we somehow always have to run when we're staying in big cities, exploring Cusco's neighborhoods and restaurants, and, as a celebration of nearing the end of our time in Peru, enjoying our first and only taste of cuy (guinea pig), that we had been planning on tasting since our time in Ecuador. 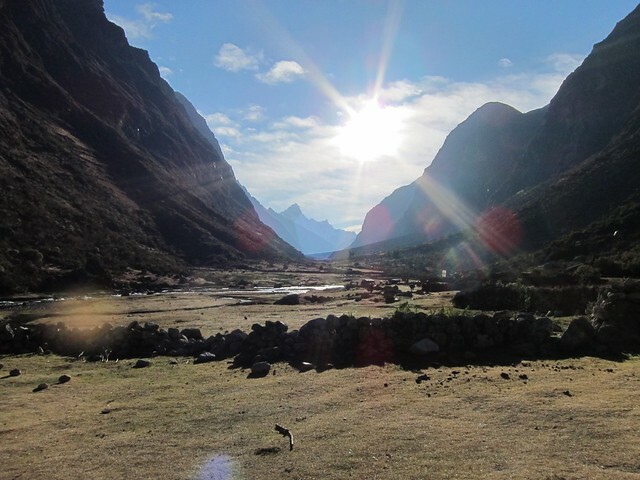 We then embarked on a one-day tour of some of the highlights of the Sacred Valley with a guide suggested by our friends who had taken a tour with him two years ago. He Seems a Little Too Happy to be on that Plate, No? We weaved our way through the valley carved by the Incas' sacred Urubamba river, stopping at the ruins of Pisaq, the salt pans at Maras, and finally Ollantaytambo, where we would take a train the rest of the way to Machu Picchu. 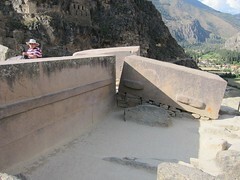 These stops, among the many Inca relics, provided an excellent lesson in Inca history, especially because the three sites (excluding Maras, which has little surviving Inca influence) had different uses, and different classes and types of inhabitants was apparent (even if their uses are no longer definitively known). 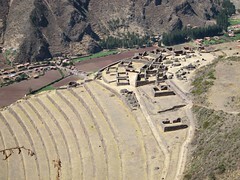 At Pisaq, the focal point was clearly the expansive agricultural terracing, with only small groupings of buildings for living quarters. There was also one small section of the city, built in the more advanced Imperial architectural style, and centered around a stone that's thought to have been used as some sort of sundial. We then took a quick break from the Inca ruins to see a truly unique thing: In the valley near Maras, there is a spring rich in salts which flows out of a mountain. 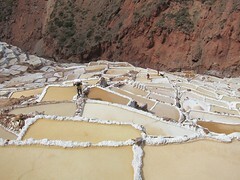 Since Inca times, people have built salt pans to capture this water and extract the valuable minerals used for cooking, curing, and trade. We've never seen anything like the landscape created by the 3000+ small pools, and watching the salt-covered workers tend to them was a pleasant glimpse into this ancient industry. Back on the Inca archaeology circuit, at Ollantaytambo we saw many examples of the Imperial style in another impressively situated setting. 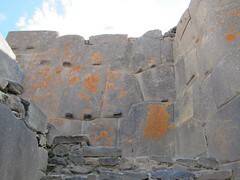 Our guide theorized that this site represented the pinnacle of Inca architecture and engineering, as several of the massive stone blocks rested in positions of staging, or otherwise incomplete construction. With this crash course complete, we took the train to Aguas Calientes, the true gateway to Machu Picchu, arriving after 11pm. We slept for a few hours, then woke up at 4:30 to try to catch one of the first buses into the site. 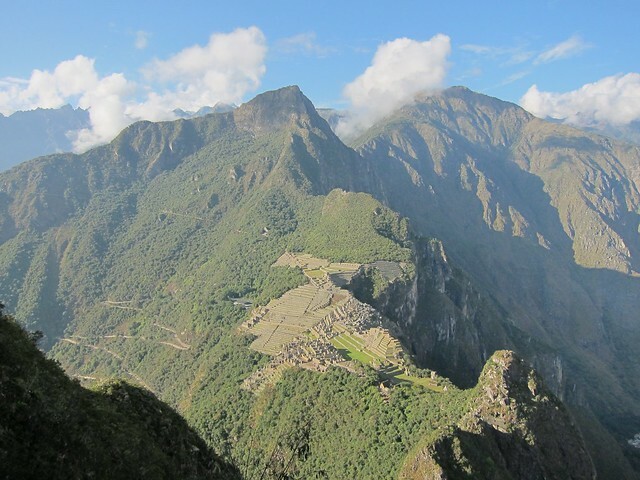 We arrived around 6:30, and immediately headed for the 1-hour hike up Wayna Picchu for a birds-eye view of the ancient city. Then we descended and wandered around Machu Picchu until about 2pm, before catching the train back to Cusco. 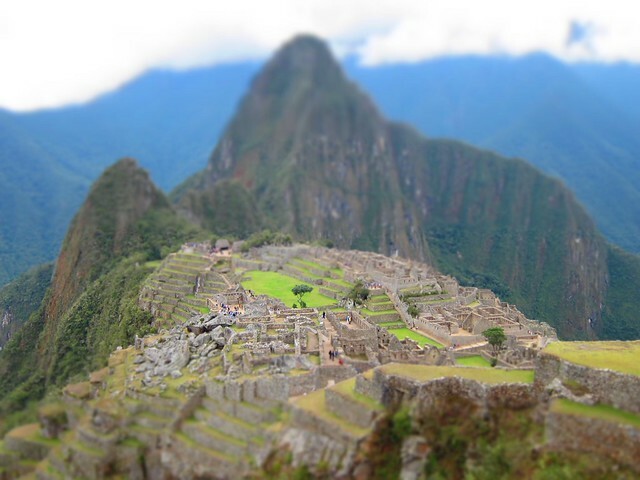 It's hard to say anything about Machu Picchu that hasn't been said before, and it's also hard to say anything about it to impress the awesomeness of it on someone who hasn't been there, so rather than try to describe it, I'll just confine myself to how I felt observing and experiencing it. There are many civilizations that have left remnants for us to discover, but most just look like ruins that with the help of experts and an ample dose of imagination we might be able to project back onto the people that created them, and what they looked like at their peak. On the other hand, Machu Picchu, due to the incredible engineering that went into constructing it, as well as to the fact that it was not found, and therefore not destroyed by the invading Spanish, remains so fully formed--mostly all the walls seem completely in tact, even the tallest and those coming to the sharpest points--that it's easy to imagine oneself living in the time that it was built. Seeing how naturally well preserved Machu Picchu is, and seeing the poor states of the other sites in the Sacred Valley made me mad at the Spanish for destroying such beautiful and impressive constructions, and made me wonder what other wonders have been lost to history. Learning about the Incas' impressive organizational abilities throughout the entire trip, and seeing firsthand the artifacts of art, science, and architecture that they left behind, I also found myself wondering how different the world would be if they had been able to stand up to the Spanish, or if some compromise could have been found. I suppose the same could be said about many of the world's lost civilizations, and instead of lamenting what's missing we should be glad for the amazing artifacts that still remain. 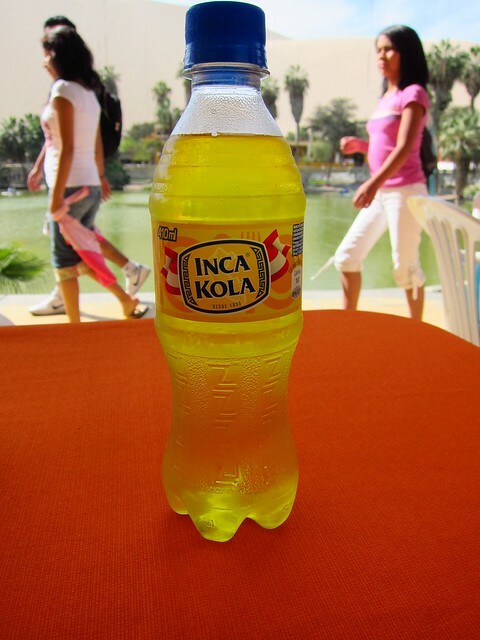 Coca-cola is everywhere in South America, but Peru has always been fighting back with its own popular soda: Inca Cola. It's bright yellow and made from lemongrass, which sounds cool, but in reality it tastes like bubble gum! So it's not surprising to see kids addicted to it, but I don't quite get adults' fascination with the stuff. In any event, at least it's another option in the soda section. Sadly, we've learned that Coca-cola recently bought Inca Cola: if you can't beat 'em, buy 'em, I guess! 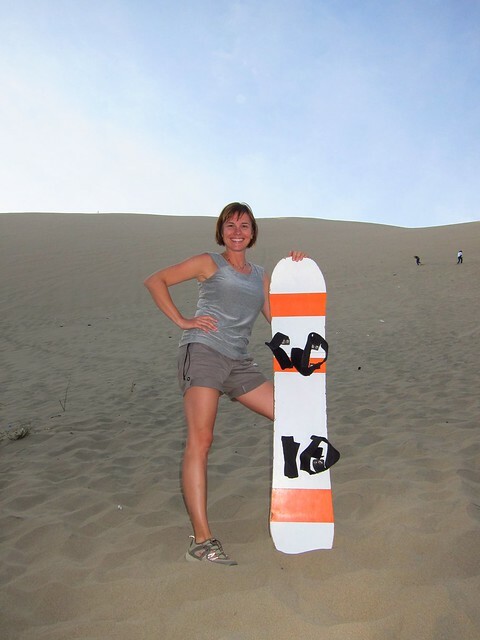 I was excited to get back to Lima after having been there very briefly with my mom on our Peru trip three years ago. What I mostly remember was the delicious food we ate while there, the great weather we had (despite the fact that we were there during the winter when the city is usually completely overcast), and feeling pleasantly surprised by how much I liked the city that most people don't like and suggest skipping. Lima is Peru's capital, situated on the coast in the middle of the country. It doesn't feel like a beach town though, because it is set upon cliffs towering upon the vast Pacific Ocean. As mentioned above, for about six months a year, it is totally overcast but does not rain (a phenomenon that I'm sure is caused by El Niño- what isn't?!). We stayed in Miraflores, which is a pretty and bustling neighborhood full of restaurants, bars, shops, parks, tall apartment buildings, and expensive condos and houses. We were told by a friend of the family, whom we met up with and who has lived there for several years, that as a Peruvian, if you've made it to Miraflores, you've made it in life. I can see why this is the case! 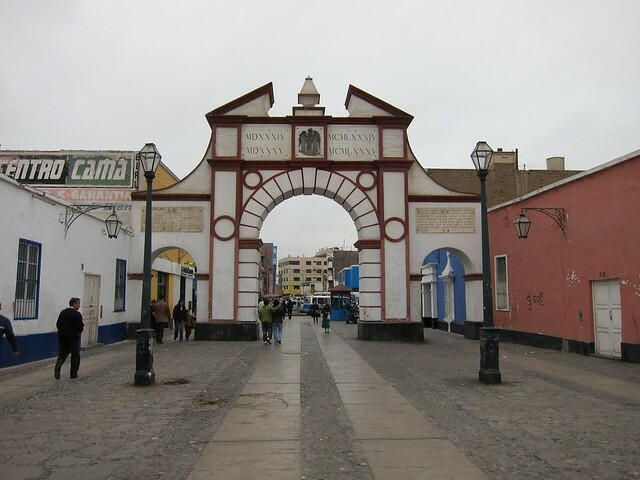 Lima also has an attractive old downtown area, with colonial buildings and a cathedral situated around - what else?- the Plaza de Armas. Barranco, the 'bohemian' neighborhood where artists have their galleries, is also full of character and a great place to walk around, albeit a bit further from the center. Sprinkled around this huge city are some of the country's best museums and upscale shops. 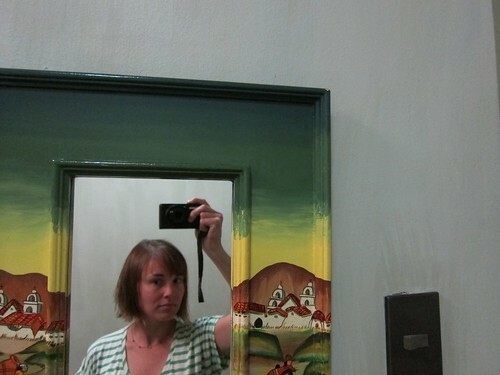 Bottom line: there is a lot to do in Lima, but all I could think about was the restaurants. 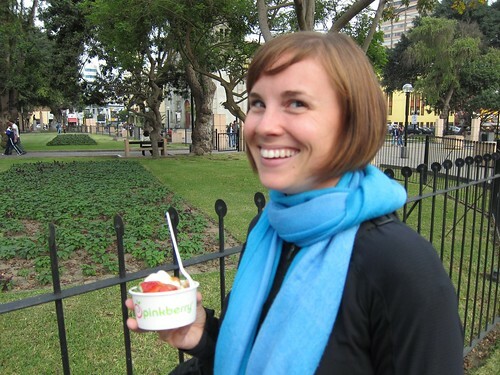 There was no doubt in my mind that our stay in Lima was going to be a food crawl. I had several restaurants picked out that I wanted to try/return to, and my biggest concern was how we were going to manage to eat that much food in only a few days! To add to this serious concern, Nick had acquired some kind of stomach bug on our last day in Huaraz, and was in a lot of pain when we got to Lima. So much so that we spent our first day there at the Ricardo Palma Clinic making sure it wasn't appendicitis! Turns out it was just a good old case of travelers' GI that was treatable with Cipro, and Nick's tummy was back in action in no time. Day 1: Huaringas (Miraflores) for some of Lima's best pisco sours. Pisco is the national liquor, and it's quite strong. Peru's famous drink, the pisco sour, is made with fresh lime juice and simple syrup, shaken up with egg whites for some texture and foam, and topped with a few drops of Angostura bitters. It's a deliciously fresh drink that is all too drinkable! 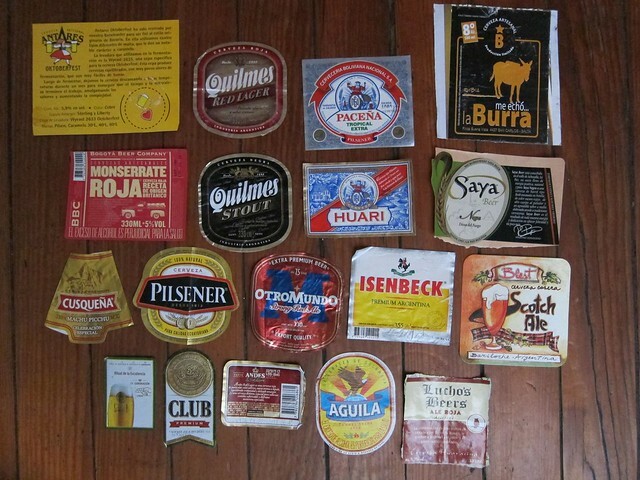 There are many variations on the classic, and Huaringas has a great selection. I tried the maracuyá sour (passion fruit) and another kind that was made with a type of fruit from the jungle. I was happy to find out that drinks were double for the price of a single until 9 pm, plus they have family-sized appetizers, so we ordered anticuchos (beef heart kebabs- a classic Peruvian dish) and marinated chicken kabobs, making for a great first dinner in Lima. Day 2: La Mar (Miraflores) for lunch. Limeños love to lunch, and they love their fresh seafood, especially ceviche. Many restaurants are not even open for dinner, but you'll find people out to lunch until 4 or 5 pm! La Mar was one of my (and my mom's) favorites during my 2008 visit. It's one of the many creations of Gastón Acurio, the world-renowned Peruvian chef who has created quite a name for himself in the international dining scene. In 2008, I was lucky enough to have dinner at Astrid y Gaston, his original restaurant in Lima. La Mar's dining room is open and modern and the creative menu is fish- and shellfish-based, with a big emphasis on ceviche and a visible Japanese influence. I've been thinking about this restaurant for over three years now, and was beside myself with excitement about going back. 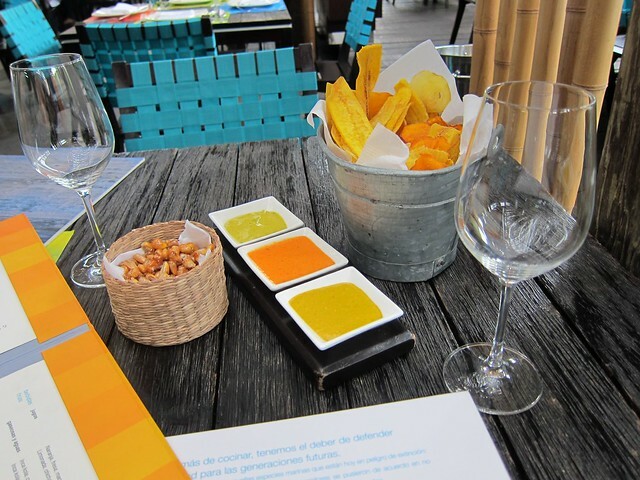 My second visit did not disappoint: upon being seated, we were served a basket of plaintain, potato, and sweet potato chips with three kinds of delicious ají dipping sauces. 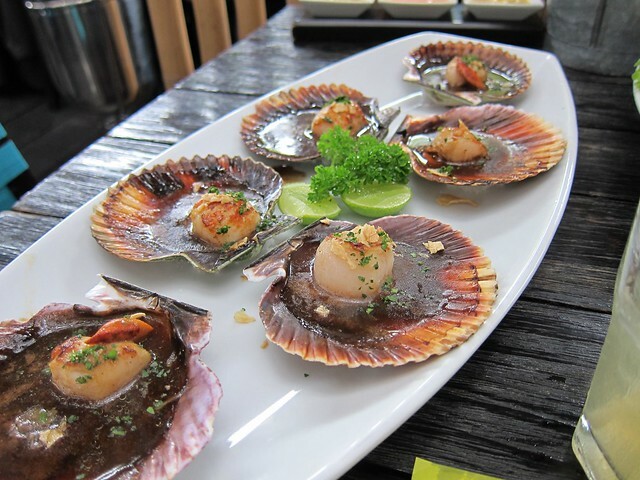 Next we enjoyed a simple but delicious ceviche, scallops served in the shell with a "salteado" sauce, and a creative shrimp tempura sushi, as well as a pisco-based bloody mary and a chiclano (pisco, ginger ale, and lime). 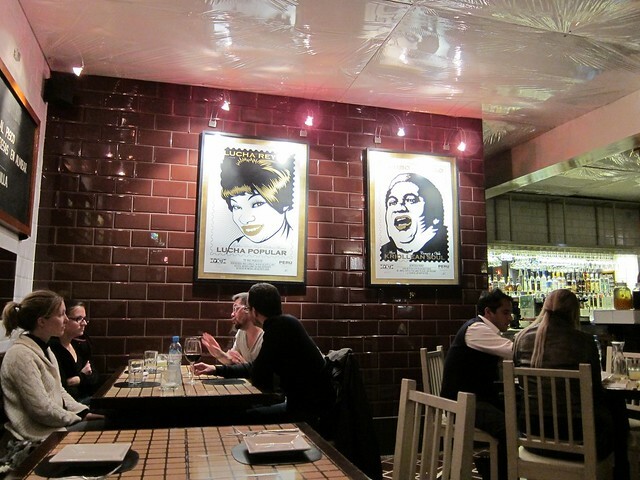 For those of you in San Francisco, you are lucky enough to have a La Mar: go immediately! For the New Yorkers, La Mar is coming to you shortly. 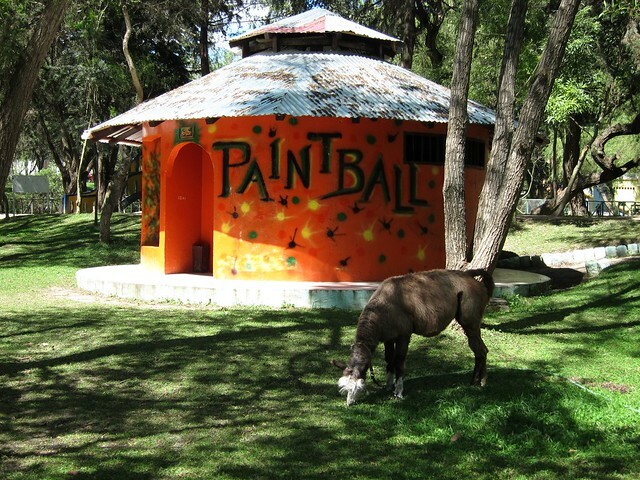 Definitely check it out, preferably when I am there visiting you! Day 2: LA73 (Barranco) for dinner. This was a great meal, not least of all because we were taken there by Nick's good friend Matt's wife, who is from Lima. 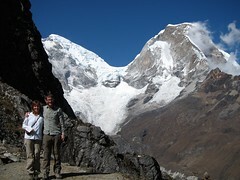 Matt spent a year in Lima and while there met his wife Fio. We had never met her, but were really excited to be able to meet her for the first time and enjoy dinner together. LA73 reminds me of a spot you'd find in New York: sleek and simple design, local art on the walls, short but smart menu written on the chalkboard above huge mirrors. The dishes are Peruvian classics, modernized: not too many ingredients like you find on many modern fusion menus, but everything was cooked perfectly and full of flavor. We enjoyed various causas (different kinds of grilled meat and fish on a spoonful of soft, but not mashed, potato), avocado/potato/octopus (palta/papa/pulpo) salad, a Peruvian take on the American cheesesteak on delicious crusty bread with an ají dipping sauce, and of course, pisco sours. 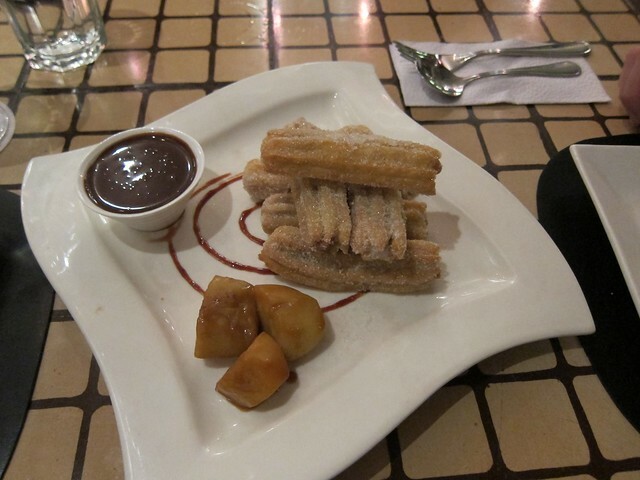 But the real highlight of this meal (aside from the company) was the churros: perfectly fried tube-shaped pieces of dough covered in cinnamon and sugar, filled with manjar (dulce de leche) and accompanied by a chocolate dipping sauce. I die. Day 3: Maido (Miraflores) for a late lunch. One thing that's really interesting about Peruvian cuisine, especially prominent in Lima, is the Japanese influence. 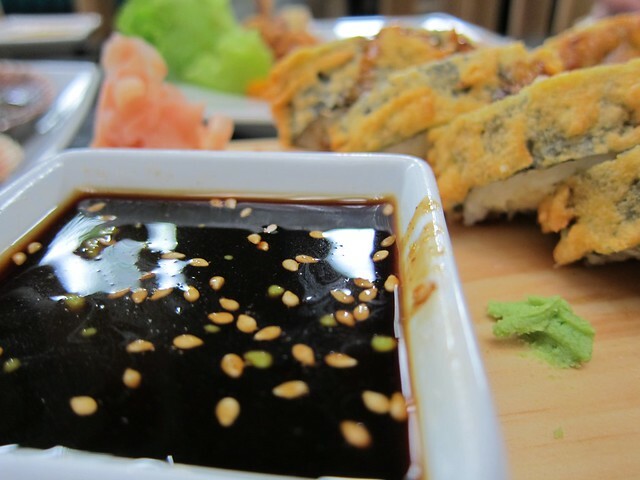 Many of the country's most well known chefs specialize in Peruvian-Japanese dishes, and awesome sushi and other Japanese specialties can be found in Lima. 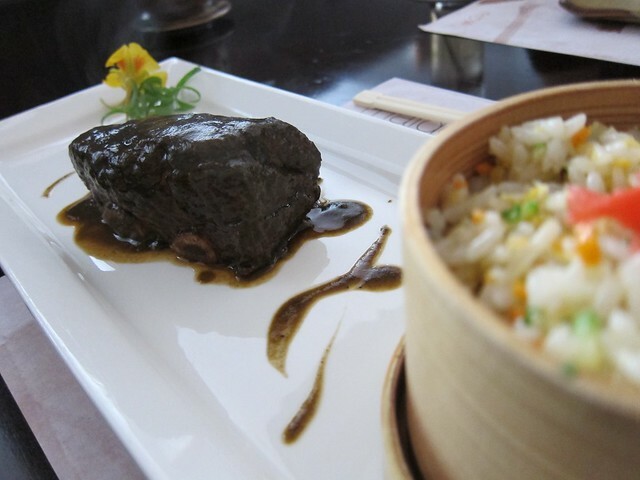 The combination of Peru's expert use of different types of peppers, potatoes, and corn, with Japanese cuisine's masterful handling of fish and shellfish makes for an exquisite outcome. Matt (Nick's friend) recommended Maido to us as his favorite restaurant in Lima, so there was no way we were going to miss it. We walked in at about 3 pm (of course there were several people in there lunching! 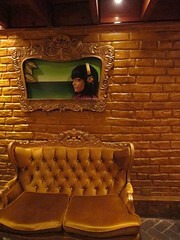 ), and immediately thought, uh oh, we're a bit out of our league here: this place is fancy. But in typical Peruvian fashion, we were welcomed, despite the fact that we were wearing our casual travelers outfits. Nick ordered 25-hour braised short ribs, while I opted for one sushi roll with pork belly/cole slaw and another with tempura onion, very thinly sliced beef, avocado, and shrimp. Hands down the best sushi I've ever had. 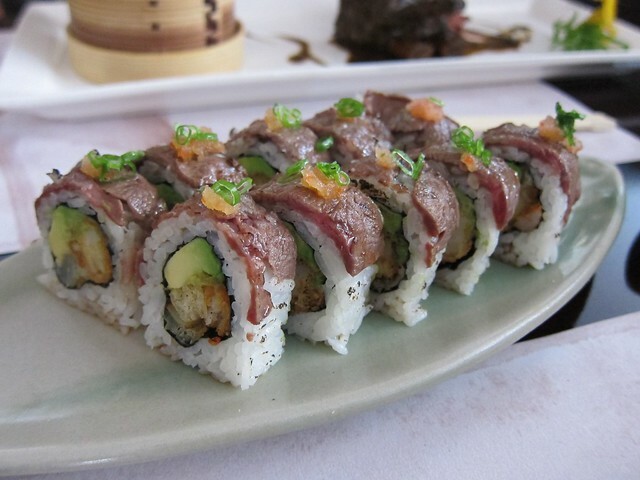 I'm not sure I want to eat sushi that does not have beef or pork belly on it ever again! Day 3: Ayahuasca Bar (Barranco) for an early-evening cocktail. 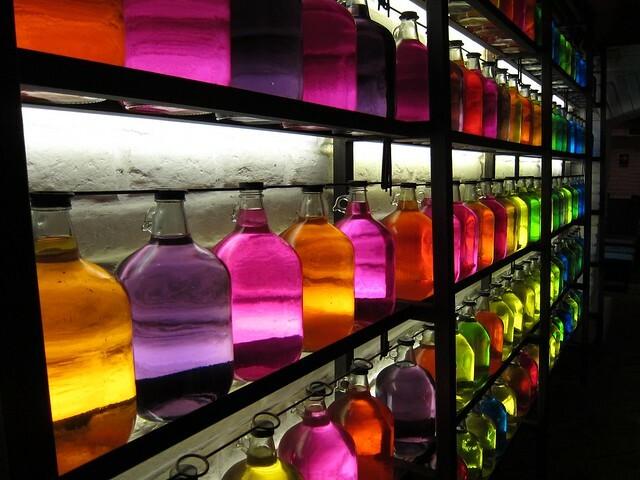 This is the most gorgeous and creatively decorated bar I've ever been to. 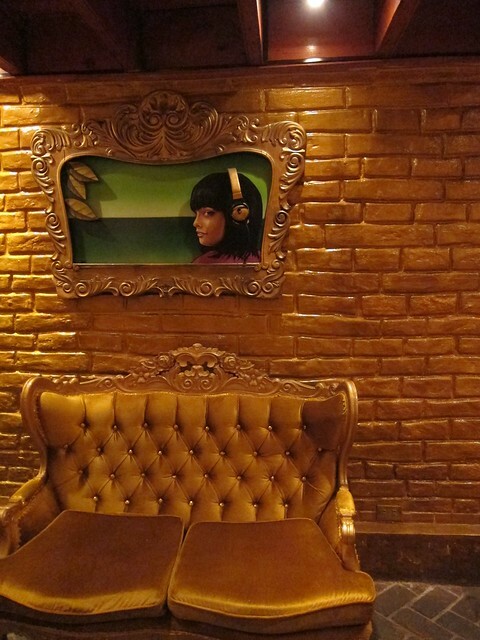 It's not even fair to call it a bar: it's practically a museum. It's in a beautiful mansion and has several rooms, each decorated uniquely with some of the most amazing furniture, lighting, and artwork I've ever seen. We were there early and one of the waiters gave us a tour of the entire place, during which we took a ton of photos-- it's simply too photogenic not to. 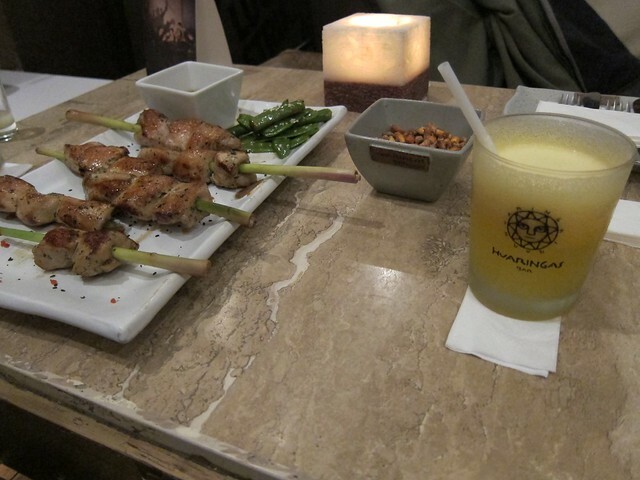 Here we enjoyed (more) fruity pisco sours and a complimentary plate of classic Peruvian appetizers. As you can see, our 2011 Lima Food Crawl was a success! If you like food and enjoy trying new cuisines, you have to make Lima a stop on your Peru itinerary. 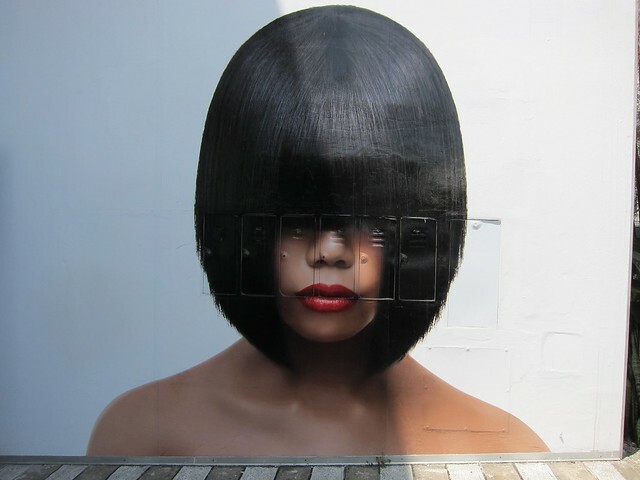 I am somewhat irritated by the bad rep that this city gets; I find Lima to have all the attractions of a large, cosmopolitan city without any of the attitude or snobiness. We walked into all of these restaurants without a reservation, dressed quite casually, and were treated extremely well. The service was top-notch and the food to die for. 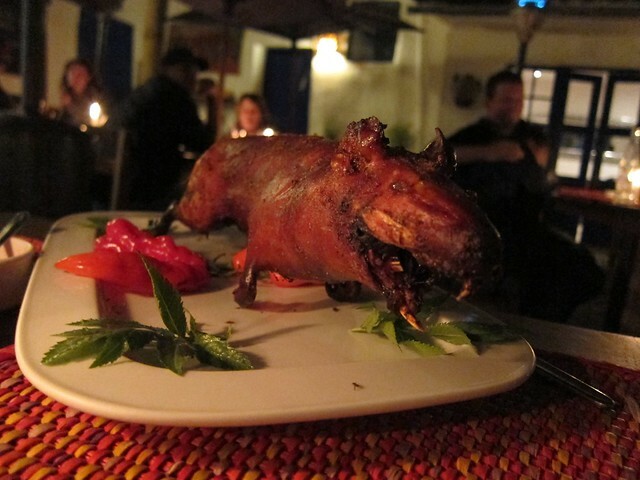 You bet we'll be back; I've barely scratched the surface of the tasty dishes Lima has to offer! 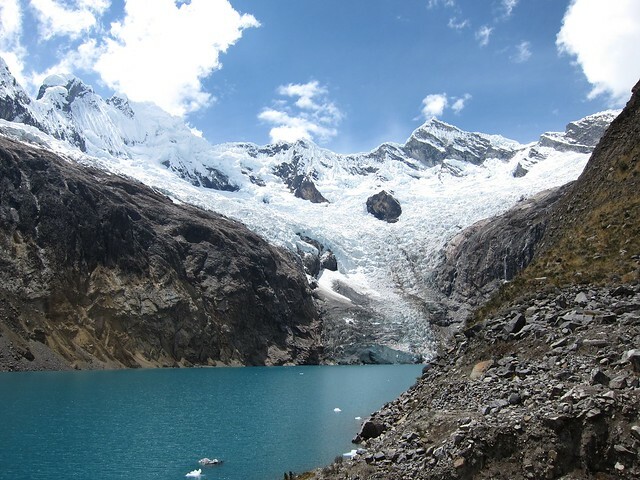 Fresh off our five day journey, we arrived in Huaraz, Peru tired and travel-weary. After resting in our wonderful hostel--Churup--for a few hours to recover from the overnight bus, we spent the better part of two days researching trekking companies and trying to decide on the best way to explore our beautiful surroundings. In the end we chose to go with the extremely competent and amiable folks at Huascaran for our four day Santa Cruz trek, a partial circuit through two valleys that stayed relatively lower than the 5000-6000 meter peaks we walked between. 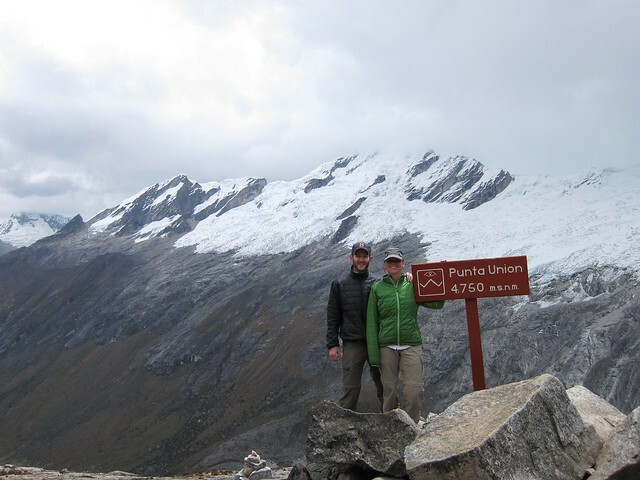 The highest point on our trek was the 4750-meter pass called Punta Union. Our guide, Miguel, was a friendly and talkative young man from near Huaraz, and he was accompanied by Santiago, our ever-smiling mule driver from the small village of Vaqueria, where we started our trek. 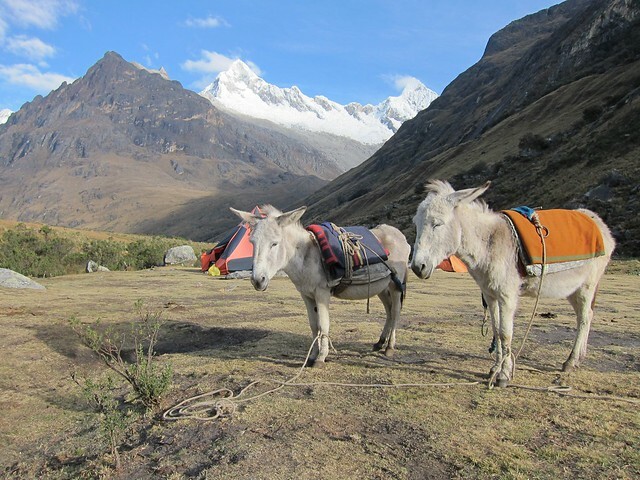 Santiago and the mules carried the tents, food, stove, and other equipment, leaving us to carry only daypacks with extra layers, water, and a small snack. While the ambitious part of me wanted to try a more difficult hike, attempting to summit one or two of the glacier-capped peaks, in retrospect I think this was the perfect trek for us, as we had limited experience with long hikes, no mountaineering experience, and neither of us had been at such high altitudes, and thus didn't know how our bodies would react. The entire experience was wonderful, and the views were breathtaking. I'll let the pictures and videos speak for themselves. Honestly, we still don't know if these were mules or donkeys. Can anyone tell us?